Price is what you pay, value is what you get. This statement could not be more true about replacement windows. While casement and slider windows have very different practical applications, they also have their unique performance values, and therefore have different prices. In our previous post, we compared the qualities of sliding and crank windows. Today, we will take these qualities – call them value, and put a price on them. What you will end up with is an accurate assessment of which vinyl window is right for you. Now as you may remember from our previous entry about how much do windows cost, it is very difficult to provide an exact vinyl windows price without seeing the current state of the opening, finalizing the options and deciding on a finish. However, it is possible to provide a ball-park figure for certain size ranges. Keep in mind that the cost of replacement windows is for a full frame replacement installation. For a retrofit installation, window prices will differ by 10-20%. Be aware that the prices provided below are approximate and may differ from company to company. 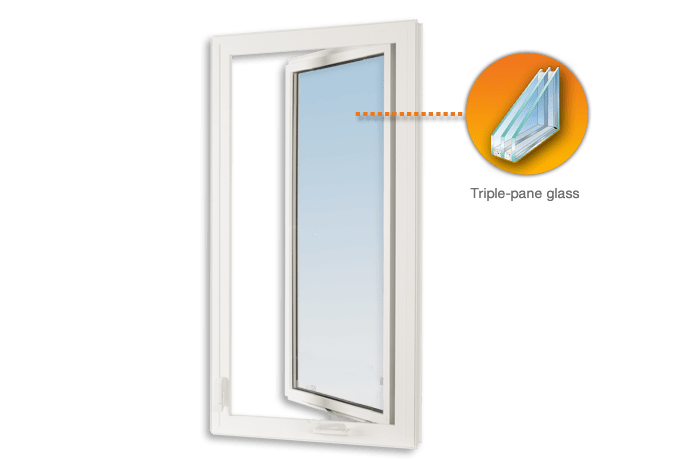 Finally, these price ranges were derived from an average cost of replacement windows and account for a variety of options such as colour, krypton, argon, single and double LoE, as well as a double and triple pane. First up is the slider window. As you may recall the slider operates – wait for it – by sliding the sash from side to side. It is a vinyl window that is perfect for wide openings with no unreasonable size limitations. The slider provides a mostly unobstructed view as well as maximum ventilation. This unit has two different options for cleaning the exterior from the inside making it effortless to keep clean. The downside of the slider is its energy efficiency. With an average Energy Star rating of A3 for Air infiltration, B4 for Water and C3 for Wind the slider is simply no match for the casement. Now let’s take a look at casement windows prices. It is a unit best suited for tall openings, unlike the slider. However, it is a crank operated unit complete with a compression seal which makes it a better choice for security and energy efficiency. Vinyl casement has an average Energy Star rating of A3, B7, C5. The casement is functional and easy to operate, especially in tight spaces. It provides excellent ventilation with its ability to catch wayward breezes and with no dividers present in the sash vinyl casement windows offer 100% unobstructed visibility. The drawback of casement replacement windows is that they open to the outside and thus become a hazard in high traffic areas. Properly pricing your window project can go a long way towards determining the solution for the needs of your home. It is true that not all windows are made the same. The difference in price is often reflected in the difference in performance. However, depending on your needs, you may not always want the most efficient (and expensive) windows. Regardless, when you are considering which ones to get, look for windows that are ENERGY STAR rated and CSA approved to meet climate requirements in Canada. The Cost of Replacement Windows: Casement vs. Slider Overall rating: 4.9 out of 5 based on 41 reviews.